Alex Jones’ Twitter account, the alt-right conspiracy theorist and founder of InfoWars website, was suspended for a week after he tweeted a link to a video calling for supporters to get their “battle rifles” ready against media and others, in a violation of the company’s rules against promoting violence. All Silicon valley giants except for Twitter launched an offensive ban on August 6 against Alex Jones, whom is now denied access on Facebook, YouTube, Apple and Spotify. Facebook, which suspended the four main pages of Alex Jones, accused them of “glorifying violence” and “using dehumanizing language to describe transgender people, Muslim and immigrant”, in violation of the internal rules of Facebook. The social network said that it was the language used and not the conspiracy theories conveyed by Alex Jones that prompted them to act. Twitter was the sole holdout among the major tech companies in not taking down content from Mr. Jones, who has called the Sandy Hook shooting a hoax conducted by crisis actors.The founder of Twitter, Jack Dorsey defended the next day the choice to not suspend Alex Jones, in the name of “public debate” and because “he didn’t break (our) rules”. But the lack of action prompted criticism on Twitter, from its users and even from some of its own employees. The microblogging website made the decision after Mr. Jones tweeted or retweeted more than a dozen times during the day on Tuesday, including one post that linked to a live video session in which he apparently called for violence against certain groups, including the media. After a user flagged the tweet, Twitter said it determined the post violated its safety rules. Mr. Jones was ordered to take down the tweet linking to the video broadcast on Periscope, the live-streaming service that is owned by Twitter. 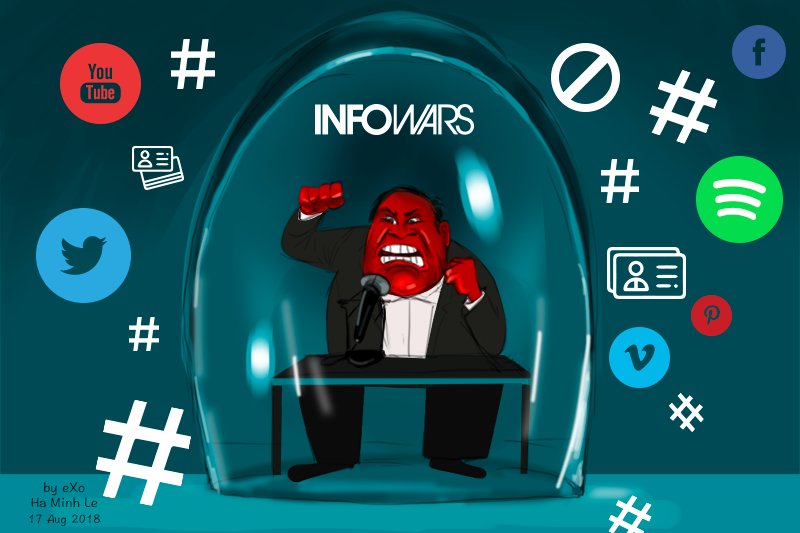 Not long after, Mr. Jones’s Twitter account was suspended, the Twitter account for Infowars sprang into action: “Twitter just shut down my @realalexjones account!” the Infowars’ account tweeted. Stay tuned for more fun cartoons! 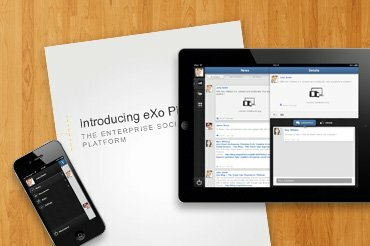 I am a Digital Marketing specialist specialized in SEO at eXo Platform. Passionate about new technologies and Digital Marketing. With 10 years' experience, I support companies in their digital communication strategies and implement the tools necessary for their success. My approach combines the use of different traffic acquisition levers and an optimization of the user experience to convert visitors into customers. After various digital experiences in communication agencies as well as in B2B company, I have a wide range of skills and I am able to manage the digital marketing strategy of small and medium-sized companies.